The ultimate Congolese dance and music party! Don't miss this rare chance to see Congolese culture brought to life on the Sadler's Wells stage from 4 – 6 June. 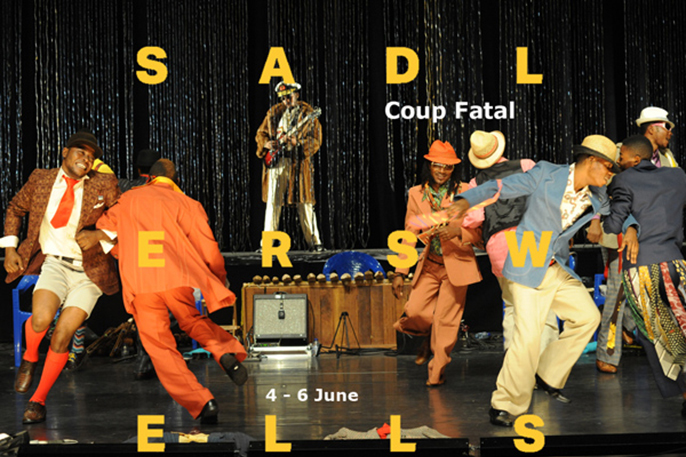 More than a theatre show, Coup Fatal is a joyous and uplifting celebration with a live gig vibe, inspired by the dandy sapeurs of Kinshasa. The band of stylish and immaculately dressed musicians, singers and dancers create an exuberant evening of theatricality, flamboyance and diverse musical influences, to contrast the war stricken environment in which they live.